The removal of Western sanctions on Iran, the fourth country with largest proven oil reserves (about 158 billion barrels), immediately affected the global oil prices, pushing them below $28 per barrel. Brent crude fell as low as $27.67 a barrel, its lowest since 2003, before recovering slightly to trade at $28.17. The price of U.S. crude fell below $29 a barrel to $28.86. At a time when the market already is grappling with a global supply glut, Iran (daily oil production was about 3 million barrels) has said it is ready to increase exports by 500,000 barrels per day. Iran's such a decision came after the IAEA, the international nuclear watchdog, said Iran had complied with a deal designed to prevent it developing nuclear weapons and it was decided to lift the sanctions against Iran on January 16. However, analysts say the lifting of the sanctions on Iran means worsening of the existing oversupply problem and production of half a million barrels more oil per day. They believe that Iran's initial export is easy to achieve, but further production increases are challenging. The decrease of oil price has been driven by oversupply, mainly due to the export of U.S. shale oil to the market, while demand has fallen because of a slowdown in economic growth in China and Europe. Iran's oil exports could reach 1 million barrels per day within a year, while the country's officials hope to eventually increase output by almost 1.5 million barrels per day. According to the International Energy Agency, about 38 million barrels of oil are in Iran's floating reserves, ready to enter the market. Any additional oil would add to the one million barrels a day of over-supply that has led to a more than 70 percent collapse in oil prices since the middle of 2014, according to the U.S. Energy Information Administration. So, experts believe that it is the wrong time for Iran, the fifth-biggest member of oil cartel OPEC, to return to the oil market, both for the market and for Iran. They did not exclude the possibility of further drop of oil prices, but not much lower than $25. But Iran is keen to return to the oil market despite all sad figures. "The legs of Iran’s economy are now free of the chains of sanctions and it’s time to build and grow,” Rouhani tweeted on January 17. However, experts believe that Iran's oil sector needs a lot of investments. In particular, Iran's oil fields have experienced a long period of underinvestment. So, the country needs significant foreign investment and technology to repair and build out its production potential. The country also needs huge investments in its out-of-date oil infrastructure. On January 18, John Kerry, the U.S. Secretary of State, said in an interview with CNN that Iran needs about $500 billion to restore its oil infrastructure. Iranian officials are aware that they are returning to the market at an inauspicious time with outdated infrastructure, thus, they want to set special relationships with their customers such as oil-for-goods bartering. Bartering is believed to help Iran during a period of intense competition among oil producers for buyers. 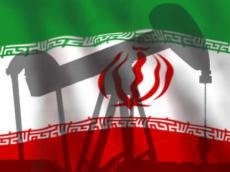 Over the past several years, Iran has bartered oil for equipment and goods with China, India, Japan, South Korea and Turkey, the countries that did not impose sanctions against Tehran. Iranian officials believe that Iran could use this bartering practice towards European costumers. Iran is also negotiating acquiring stakes in refineries in India, Brazil and Spain, while Iranian private companies intend to purchase refineries in Switzerland and France. “The safest way to increase the exports is investment in refineries abroad. On this basis, the petroleum ministry wants to invest in refineries abroad, whose crude oil will be supplied by Iran,” Abbas Kazemi, the head of the state-run National Iranian Oil Refining and Distribution Co., told local media on January 9.